SMi Group are delighted to announce the 6th annual Pharmaceutical Freeze Drying Technology conference, being held this June 2018! The final brochure has been released, download it now. Although an old process, pharmaceutical freeze drying is ever evolving with new trends and approaches being used for pharmaceutical formulation. 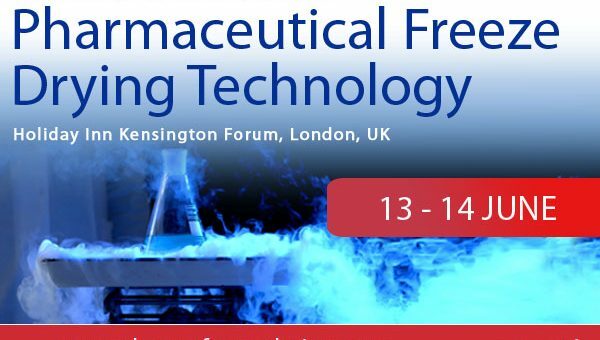 In it’s The 6th year, the conference will cover the most recent advances in Freeze drying technology and discuss the latest ideas in the industry. It is the perfect platform to strengthen knowledge in key principles such as PAT and QbD, whilst staying at the forefront of technological breakthroughs to adapt to growing manufacturing demands. Join us in June to explore new approaches to prediction and analysis, alternative freeze drying technologies and overcome the challenges of freeze drying technology. Just take a look at the new agenda for 2018 to see who you can hear from! PLUS: Don’t forget to check out the two post conference interactive workshops taking place on 12th June. Take a look at the complete brochure online, and take advantage of the early-bird rates available!